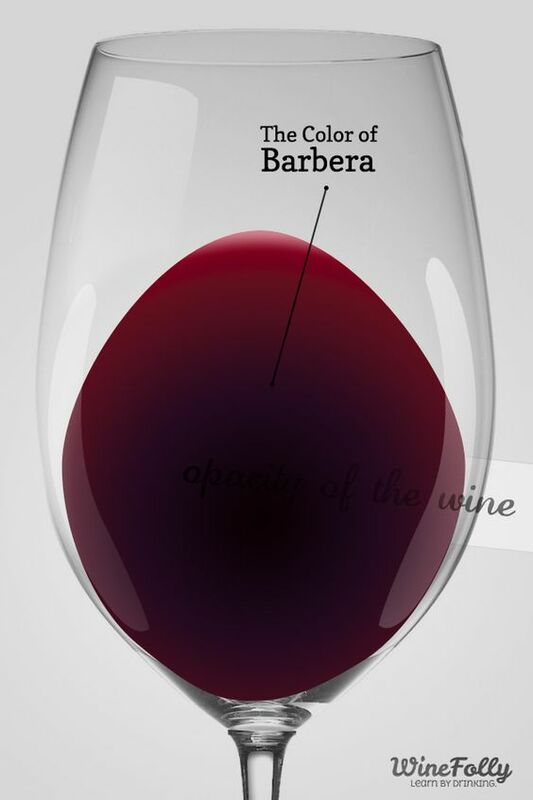 Barbera might not be the wine you write tomes of poetry about. You might not name your firstborn after its most famous producer. You might not save a bottle from your birth year and open it up when you turn some ripe old round number. But, maybe, you’ll pick up a bottle for a reasonable price and open it up for dinner. And maybe you’ll find that your dinner now, in its company, is humming in delight. Maybe you’ll find that, from a good producer, Barbera can produce wines of deep fruit flavors and racy, high-strung acidity that achieve a symbiosis with the food on your plate. And maybe you’ll find that all is right with the world for a moment. Likely from the hills of Monferrato in Piedmont (though possibly from Oltrepò Pavese in what is now Lombardia), the red Barbera grape has produced popular wines in Italy since before the Renaissance, and has been often called the “people’s wine.” Today, it’s one of Italy’s most planted grapes--and why not? It’s adaptable, productive, easy to grow, easy to like. At their best, Barbera wines show deep, dark fruits with high acidity. A good winemaker is the key: when overcropped, this grape can produce wines that are thin and harsh. But, under the right circumstances, Barbera wines are approachable, fun, and lipsmackingly good with food. Thanks to the grape’s low natural tannins and high acidity, 15 minutes in the fridge before drinking can give you a fresh, picnic- or BBQ-ready red. Barbera is not one of the all-time great terroir-expressing grapes like Pinot Noir, but it is known to be adaptable, and its wines certainly express where the grape is grown. So I thought it’d be interesting to dive a bit deeper into this delightful grape by trying bottles from different terroir, including California. So here we go. I’m gonna start with a Barbera from Alba because many say this terroir produces the ideal expression of the grape (although that claim would be hotly contested in Asti). These wines tend to be more concentrated and textured than in Asti, where the grape’s characteristic acidity tends to be the star. Cascina Ca’ Rossa was founded in 1967 by Alfonso Ferrio, who grew and sold grapes in bulk with an emphasis on quantity. His son Angelo is the one who pushed for controlling yields to producing high-quality grapes for their own bottlings. Now Angelo’s son Stefano is on board, recently graduated from enology school in Alba. Together Angelo and Stefano are blending tradition and innovation, making great wines. Their motto: “honest, clean, simple, rustic. A virtuous viticulture that priorities dignity and sincerity.” In 2012, they were certified organic. The Mulassa vineyard is located in Canale d’Alba on the Mompissano hill, where the soil is predominantly clayey. They age their Barbera in big Slovenian barrels. This ruby-red wine has a sensual, plummy quality, with notes of sour cherry, sage, black pepper, and even tobacco. It vibrates with a racy acidity on the tongue. There’s a bit of grip on the finish but the overall impression is of balance. Growers in Asti argue that their region produces better Barbera than Alba, since Alba’s best vineyards are often planted to Nebbiolo, while Asti reserves its best for Barbera. Braida would no doubt be champion of this argument. In fact, if a grape could have royalty, this producer would be Barbera’s. Braida is run by the grandchildren of Giuseppe Bologna, who is credited with being the first producer to see the grape’s real potential and to try aging it in French barrique--this wine became Bricco dell’Uccellone, which is among Italy’s most famous bottlings. Their Montebruna is grown on sand and clay. The wine spends a year in mixed-size oak barrels (20, 35 and 55 hl). It’s buoyant and lively, with deep black cherry, currants, and plum on the nose. It’s lighter in body than the Cascina Ca’ Rossa, with crunchy bright red fruit on the palate. It finishes long. This seems like the most classic in style, best expressing that joyful fruity/acid combo. Oltrepo’ Pavese was once part of Piedmont, but it became part of Lombardia during Italian Unification. There is some evidence that this may be the original home of Barbera, though the jury is out. Torti has been family run since 1910, with grandson Dino and his daughters now at the helm. Their Barbera is grown on a hilly slopes of lime, marl, and clay benefitting from Ligurian breezes, cool summers, and dry winters. Theirs is the richest of the Italian Barberas that I sampled. It shows an undercurrent of minerality buttressing the dark currant/plum fruits, violets, peppers, anise, baking spice, and vanilla. It finishes with a bit of oak tannins, suggesting this is not a contender for any fridge chill. This will stand up to big BBQ easily. Next up: California. There’s a long history of Italian winemaking and Italian varietals in the state (thanks to Italian immigration in the late 19th century), though mid-20th-century vogue switched much of California’s focus to French varietals. No matter. There’s a new wave of winemakers experimenting with varietals, and many have found a kinship between Italy and California. Sam Bilbo grew up in a winery, worked in the restaurant industry, then fell in love with wines from Piedmont. With Idlewild, he exclusively makes wines from Piedmont varietals grown in Mendocino, which is similarly cool, foggy, and mountainous. He uses a minimalist/sustainable approach. Fox Hill Vineyard, where this wine is grown, has rocky, elevated slopes planted to 20-30 year old Arneis, Cortese, Dolcetto, Barbera, and Nebbiolo. His Barbera is deep purple in the glass with a medium body. Its profile tends toward black fruits like blackberry and fig, with notes of violet and raspberry, ending on medium-firm tannins. The first day it was a bit closed, but the next day it really started to sing, becoming expressive with sweeter, black cherry fruit. The Walker Vineyard is located in the Santa Ynez Valley, which is much warmer than Mendocino. As such, you get riper fruits and a richer extraction, though it maintains Barbera’s lifted acidity. In the glass, you smell candied notes of dried cranberry and violet pastille. The fruit is sweeter, and moves to fruit leather and dried cherries on palate. Good acid and lifted. Inky concentrated, extracted blackberry. There’s a bit of rosemary/cedar on palate, medium-plus body. The result of my experiment? There are definite variations based on where the grape is grown, but the oak influence seems to be the most prominent difference among the wines. All in all, Barbera makes for a pretty sassy wine with plenty of its own superpowers: deep fruits, lifted personality, food-friendly to boot. Save your tomes of poetry--your Tuesday night needs wine, too. And any one of these would be a fine pick. My guess is that Barbarella would be proud of her nearly namesake grape!